In Edmond, OK luxury real estate is available you and your family at amazingly low prices. Located in plush Oklahoma County, Edmond is the sixth largest Oklahoma city. 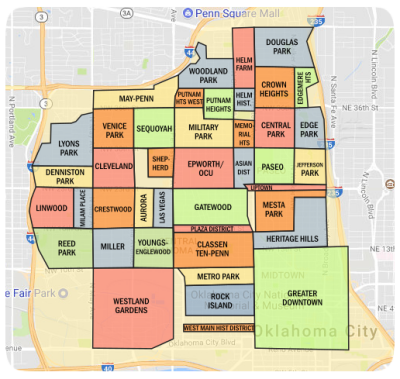 The population is about 81,500 people and Edmond borders along the northern edge of Oklahoma City, OK.
Want to live in the perfect suburb? Edmond was listed in 2011 as one CNBC's 10 Perfect Suburbs. In fact, it was ranked in first place amongst the 10. The city had previously been honored by Relocate America who deemed Edmond one of the Top 100 Places to Live in 2007. Still not convinced? For five years in a row the State Chamber of Commerce has been selected as The Most Outstanding City in Its Class! Add to all of those accolades the fact that interest rates and property prices remain at an all time low and you will see why so many people are looking to make their new home in the gorgeous Edmond, OK luxury real estate. Not only are the residents of Edmond a friendly group, but they have worked hard to make their city a family-friendly place. With nearly 20 award-winning parks, packed with greenery, picnic areas, sports fields and other attractions, Edmond is a great place to raise a family. The schools are also award winners, with several schools receiving the prestigious National Blue Ribbon of Excellence and the Siemens Foundation Award for outstanding performance in the sciences. No parent should overlook these achievements as they are directly related to the quality of education that the students receive. The top ranked attraction in Edmond is the beautiful Armstrong Theatre. The decor is especially stunning and adds to the overall enjoyment and impact of a night at the theatre. The acoustics are perfect for the top-notch performing artists that appear there. It is a venue set apart and has been called charming, classy and chic. Another rather lively venue for the music lover is the Jazz Lab at the University of Central Oklahoma. Gifted musicians deliver the best in jazz entertainment to the delight of thousands each year. The early bird in this case gets the best seat and pizza! The overall ambiance of the Jazz Lab is one of family gathering to enjoy the one true American music genre, jazz! The kids will love Pelican Bay Aquatic Center. It is safe and fun for kids of all ages. Seniors even participate in Senior Water Exercises, while the children enjoy the huge pool, two slides, and rock climbing wall. Life guards are always on duty and residents flock to this attraction. The number one golf course in Edmond is located conveniently at Coffee Creek Golf Club. The stunning Bermuda greens offset the beautiful blue waters of the lake. Residents and tourists rate this course as one of their favorites and one of the very best in Oklahoma. The staff and food cart service are also highly rated. Other great Americans who called Edmond home include the likes of NFL football star Reggie Smith, actor Jim Beaver, MLB baseball star Dusty Allen, actress Hayley McFarland and singer Anita Bryant. The people are all products of the excellence that makes Edmond an exceptional American community. They enjoyed the many amenities, learned in the schools and found the encouragement and motivation they needed to go forward and excel in life. What if the next great Hollywood or sports sensation to come from Edmond was one of your own children? 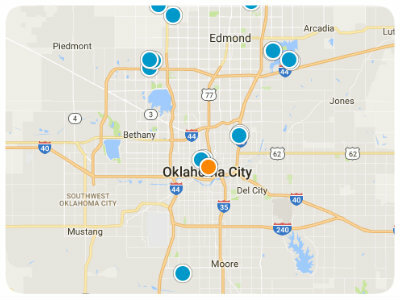 Now is the best time ever to select a new luxury home in Edmond, OK and make your move to this lovely and exciting city.